The delicious world of chocolate is once again turned on its side, this time by deceit and deception in the new chapter of the Chocolatier saga. 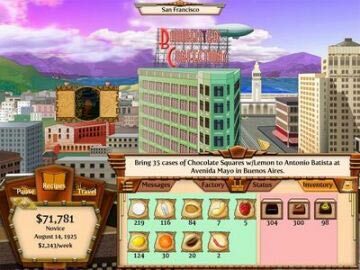 There is a mole controlling Baumeister Confections, and it is up to you, along with the help of the rebellious and independent granddaughter of Evangeline, to build a new empire and take over Baumeister Confections. 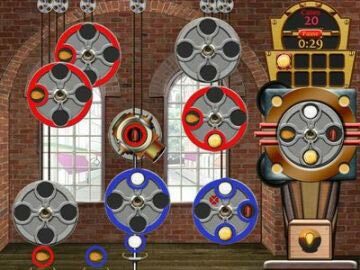 On this journey you will need to rise up in this industrial age of innovation and seek out secret ingredients to create rich new recipes. 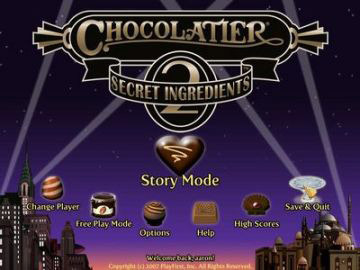 For fans of Chocolatier, Chocolatier 2 picks up 40 years later offering enhanced game play, new ports and characters, and a new in depth story that will once again make you hungry for Trinidadian Carmel Truffles. 20 cities to travel to throughout the world. Special tasting laboratory available for purchase. 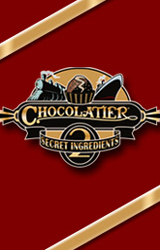 Exciting mini game with bonus scoring features will allow you to maximize chocolate production. Interactive bargaining with merchants to determine price of ingredients throughout the world. 72 recipes to acquire and 6 factories to purchase! Beautifully rich art deco look and feel with music of the roaring 20s!